The Department of Engineering Science hosts undergraduate degrees in both Engineering Science and Biomedical Engineering. I enjoy seeing examples of how the natural world can offer solutions to traditional engineering problems. Much of my own work is in geothermal energy and one example in that industry is the bioreactor at Contact Energy's Wairakei plant that removes hydrogen sulphide from cooling water used in the plant, before the water is discharged to the Waikato river. In the bioreactor the cooling water flows through 378km of pipes in which sulphur-oxidising bacteria floursh and remove 80% of the hydrogen sulphide. The bioreactor is a world first, and was New Zealand Energy Project of the Year in the Deloitte Energy Awards. "drawing inspiration from nature to develop new technologies. Living organisms and natural phenomena have certain behaviours and properties which let them exist in harmony with the surrounding environment. By understanding these natural processes, we are developing technologies to venture into new territories." 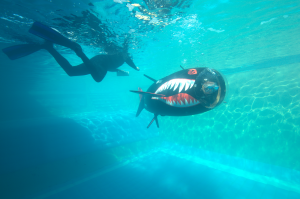 One of the lab's projects is building a human powered racing submarine (known as "Project Taniwha") which they race in an international contest each year. This year the team won the overall trophy, as well as awards for being the most reliable submarine and the best non-propeller powered submarine. The team are the only Southern Hemisphere team. Curious how such a vehicle works? It's pedal-powered, with a diver inside who breathes from a dive tank. The Taniwha is a great mix of creativity, determination, and Kiwi enginuity - with some inspiration from nature. If you're visiting our Department (at Uniservices House, 70 Symonds St) you will see it on display on the ground floor level. I know there's not a huge market for human power submarines ... however the Biomimetics Lab also applies it's expertise to a range of other ventures with commercial impact, including a spin-out company called Stretchsense which develops wearable technologies. Posted in Uncategorized and tagged biomimetics, Iain Anderson, Stretchsense, taniwha on December 12, 2016 by rarc002. New Zealand has the dubious honour of having the highest rate of teen suicide in the developed world. As a New Zealander I am not proud of that. Overall the number of New Zealanders who take their own lives is normally larger than the number who die in road accidents. As a community we discuss the road toll freely, but choose not to discuss mental health as openly. I want to join others who challenge this taboo. 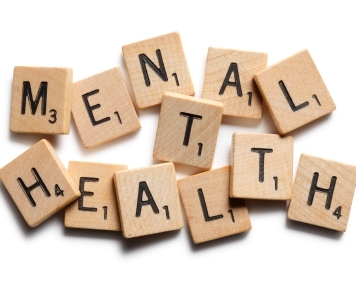 I am very mindful of the stresses and mental health difficulties all University students face. The young people in the Department of Engineering Science are not immune from the difficulties of navigating financial struggles, chronic health problems, bereavement, relationship difficulties, questions of identity and more. Those challenges seem to be increasing - as is my awareness of the potential for incidents of self-harm. I have an open door policy with students and over the years have had students disclose some fairly mind-boggling circumstances - naturally confidentiality means I will not expand on the details. We're one of the smaller Departments in our Faculty and have a strong sense of community. We aim to proactively check-in with students if we see any signs of mental health issues that go beyond the realms of normal student life. I am grateful for the support of Faculty's student engagement team who help support students in a range of ways. The University of Auckland also has an excellent health and counselling service. Engineers are problem solvers - and I am pleased that two staff I work with have devoted some energy to the problem of youth mental health. Dr Mike O'Sullivan Jnr and Associate Professor Cameron Walker have been working with the Adolescent Health Research Group to help analyse data from the Youth 2000 series of surveys. Recent work conducted a final year research project by an undergraduate student (Jung Shaan Lee) working with Mike and Cameron used modern statistical tools on the Youth 2000 data set and identified three key themes associated with depression in young people - having poor family relationships, feeling unsafe or out of place at school, and experiencing difficulty accessing mental healthcare. Jung Shaan's work helped shed light on the interconnectedness between multiple factors and has already attracted the interest of mental health professionals working in the Adolescent Health Research Group. I think that's a great use of some engineering expertise. In an emergency situation (in New Zealand) please call the Mental Health Crisis Service on (0800) 800 717. This is a free public health service. The crisis teams are part of the Community Mental Health Service and are available 24 hours a day, 7 days a week. For free mental health counselling please call Lifeline on (0800) 543 354, 24 hours a day. Posted in Uncategorized and tagged Cameron Walker, mental health, Mike O'Sullivan Jnr on December 5, 2016 by rarc002.